A little bit oi family travel insurance advice can go a long way. 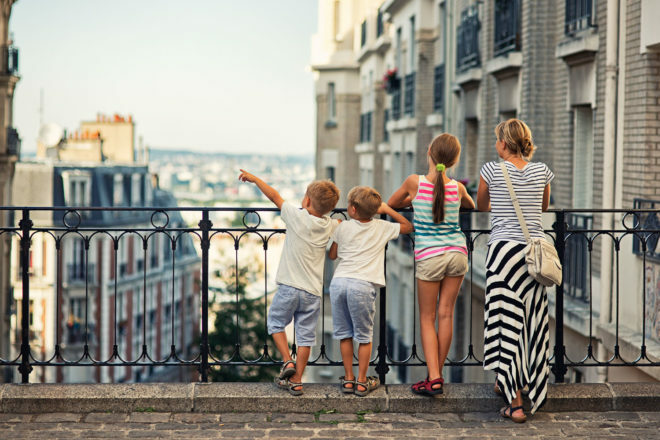 Get insurance for any eventuality when taking the kids abroad on a family holiday, writes Sally Webb; it could mean you get to hit the shops… if your bags go astray. When the travel insurance company defines ‘essential replacement items’, it probably didn’t mean a fringed suede mini dress and matching shoes. We end up spending about $500 on our replacement duds, knowing that our travel insurance policy covers this sort of thing. The alarmingly long list of ‘Things That Could Go Wrong’ is what scares many parents off travelling overseas with children. Travel can be unpredictable, so anything that provides peace of mind is worth it. Travel insurance is a non-negotiable part of travel; you’d be crazy to leave home without it. Most travel companies and tour operators insist on seeing evidence of your travel insurance policy before they’ll finalise a booking. However, if you’re booking flights, accommodation and other activities online, the onus is on you. There are varying levels of cover and it’s a good idea to be aware of what you are and aren’t covered for, how to get help when you need it, and whether or not you’ll have to pay an excess when you claim. 1. Check to see what definition of ‘family’ the insurer is using. Does it cover your type of family? 2. How many dependents are covered, and up to what age? 3. Are you covered if the family is in two different places on the same trip? 4. Is the policy appropriate for medical cover in countries where treatment is very expensive? 5. Are adventurous/dangerous activities such as skiing or riding scooters covered? 6. In the event of bad weather or natural disasters, such as volcanic ash clouds, how are delays and cancellations covered? 7. Are you covered for costs incurred if you have to return home early due to circumstances beyond your control, such as the serious illness of a family member? 8. Does the insurer offer 24/7 coverage, and have an easily accessible help line from your destination? You need to be confident that you can access help quickly when you need it. 9. Multi-trip insurance usually works out cheaper if you travel overseas more than twice a year. 10. Know what documentation you might need to substantiate a claim (for example, a police report for theft). The rigmarole involved in retrieving our lost bag ends up being quite complex. The luggage tag has torn off, it’s unidentifiable, and when it is eventually located at Barcelona airport, it’s only after repeated calls, and because I can describe the brand (Kathmandu) and the colours (garish). Had it been a black Samsonite we’d probably never have seen it again. Delving into the fine print of our policy I see that if we’re separated from the bag for more than 72 hours we’re entitled to another $1000 in essential replacement items. That Pocahontas outfit in an adult size is looking good.